Welcome to Fletcher Boutique Hotel Duinoord. Our super luxurious 4-star Boutique Hotel Duinoord has a unique location just a stone’s throw from the Wassenaarse Slag and offers a secluded beach entrance that can be accessed from the Meijendel nature reserve. The luxurious and characterful hotel has a quirky and individual interior. Its à la carte Restaurant Duinoord has a pleasant ambiance and offers premium culinary delights. Enjoy contemporary and seasonal inspired dishes, making your taste buds tingle. The hotel is an ideal place for anyone who wants to enjoy a luxurious stay by the sea. 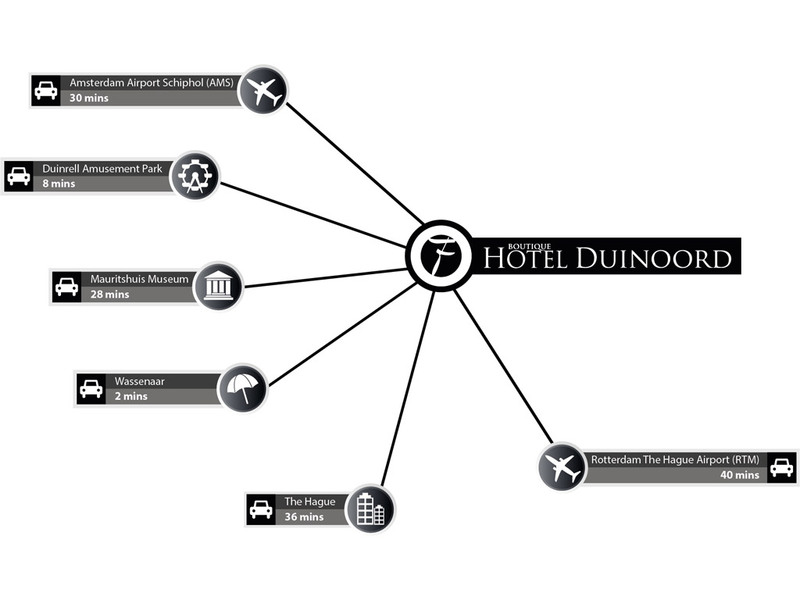 Furthermore, Fletcher Boutique Hotel Duinoord is the perfect location for business purposes. Its multifunctional meeting room is suitable for every occasion. Moreover, there are exclusive possibilities to rent specific areas of the hotel. The surroundings of Fletcher Boutique Hotel Duinoord are very diverse, which you can explore by making use of our (e-)bike rental service. 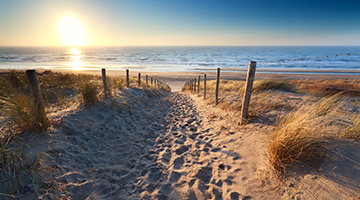 At a distance of approximately ten kilometre you find the big cities The Hague, Delft and Leiden. Here you find several museums, touristic sights and shops. 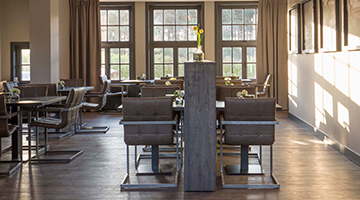 For every cultural connoisseur or sporty person this hotel is the perfect weekend getaway in Wassenaar. Boutique Hotel Duinoord treats you to culinary delights in an intimate ambiance. The head chef will spoil and indulge you with his freshly prepared and locally sourced dishes. Our welcoming team of staff will ensure that your every need is met. 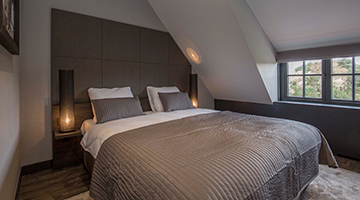 Boutique Hotel Duinoord is situated in the dune landscape of Wassenaar, just a stone’s throw from the famous Wassenaarse Slag. Discover the expansive natural surroundings during a cycling or hiking trip through the beautiful area. Just 3 kilometres away from the hotel is the centre of Wassenaar. 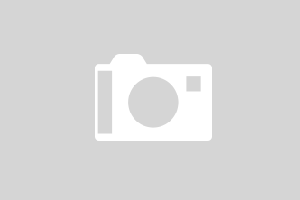 Also nearby are the Duinrell amusement park and Tikibad swimming pool.